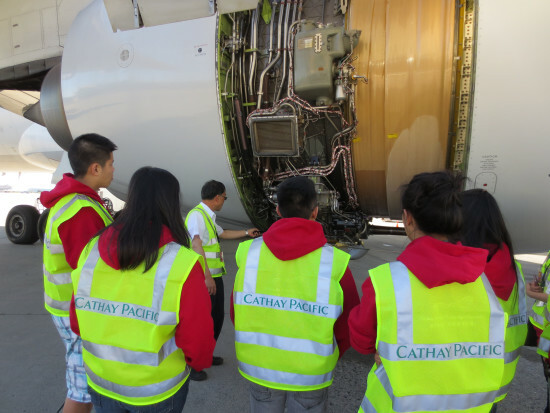 Toronto, ON – Cathay Pacific Airways is offering Toronto high school students a chance to explore different careers in the aviation industry in their unique I Can Fly(Canada) program which takes participants from the cockpit to the galley. Through a series of lectures and field trips, Grade 11 and 12 students will learn about the diversity of this dynamic, fast-paced environment, and will discover if it is the right career path for them. Running every Wednesday evening from 18 October, these I Can Fly Toronto classes will highlight the important service roles of the Cathay Pacific team working in passenger sales, engineering and safety, airport operations, piloting and cabin crew, followed by graduation on 29 November 2017. To apply, visit www.cathaypacific.ca/icanfly. Applications close on 3 October 2017. First established in Hong Kong, I Can Fly launched in Canada in 2009 and has since offered high school students with real-world experience, guided by dedicated Cathay Pacific employee volunteers.